As technology changes, so too does a recommendation. For years when you deployed XenApp servers with Provisioning Services, the storage Read:Write ratio would be 10:90. This is still the case in most scenarios. But in analyzing the latest data from the Citrix Solutions Lab, who were testing the “RAM Cache with Overflow to Disk” option, we encountered some results that will make us revisit some of our old recommendations. 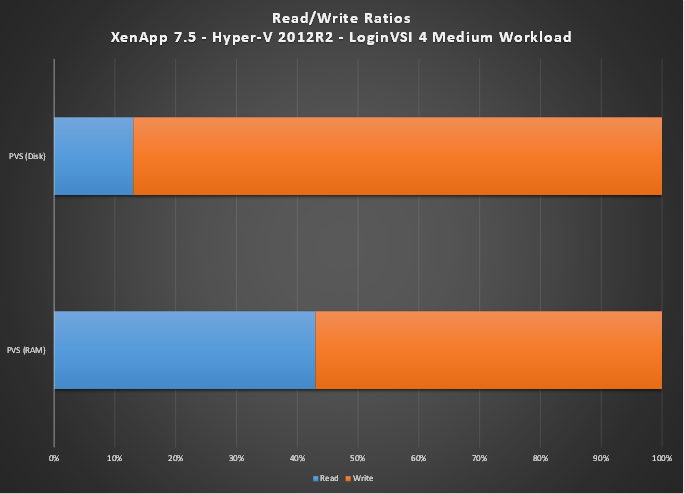 IOPS: For a medium workload on XenApp 7.5 on Hyper-V 2012R2, the average IOPS per user is 1, as explained in the previous blog. Why is this? Why the change? We’ve significantly reduced write activity because writes go to RAM. 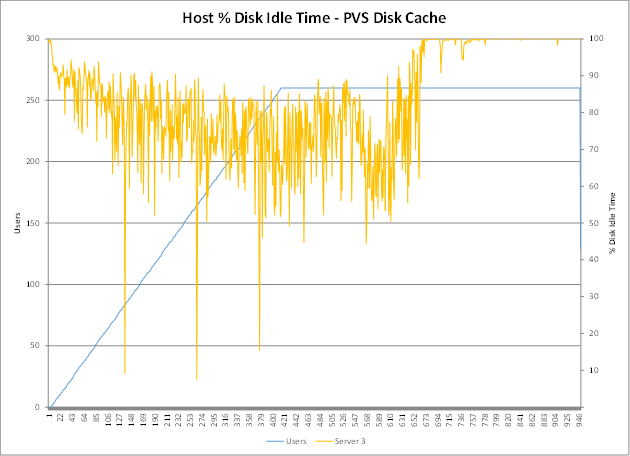 And whatever writes do make it to disk from the RAM Cache are bigger block sizes, thus also helping to reduce IOPS. 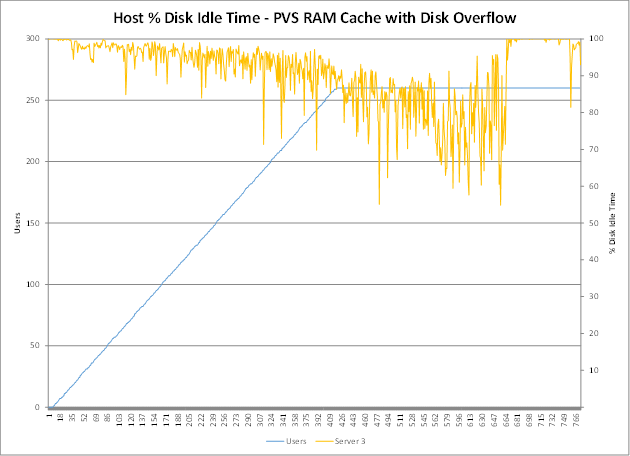 And finally, if you look at the disk idle time on the physical host, you can clearly see that the disks have a higher idle percentage when using the new RAM Cache with Disk Overflow option within PVS because we have less data going to the disk.